The Bitcoin Cash community once again stirred controversy in the crypto-verse, this time due to the expulsion of Amaury Séchet from the Altcoin’s Slack channel. The Bitcoin Cash community has always defined itself as advocates for the vision of Satoshi Nakamoto, attacking Bitcoin (BTC) for promoting censorship policies contrary to their values of supporting inclusion and freedom of thought and speech. This community is also known for asserting that its altcoin BCH is the real Bitcoin (BTC). 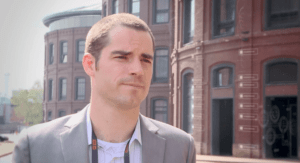 In a post published by Roger Ver himself in Reddit, he comments without further explanation that Amaury, creator of BCH, had been banned from the Bitcoin Cash Slack. The news, of course, generated intense debate within the community, especially on the part of those who criticised the double standard of BCH promoters who praised the need for censorship-free platforms, while on the other hand censored those who disagreed with their policies. You don't have to agree with #AlexJones to support his right to say it. According to the facts, Amaury had been actively developing a scalability solution known as “pre-consensus.” It would allow miners to pre-arrange a series of parameters that would reduce the speed of orphaned blocks, thereby increasing transactions speed. Despite having strong support within the community, his proposals were not shared by some members of the BCH community such as Craig Wright who commented that it was necessary to suspend the project and that in the absence of Amaury it was just enough to substitute him by funding replacement devs. If a certain ABC dev wants to push this, then we will just fund replacement Devs. Trust me. There are others. Think we are not serious. On August 7, according to a screenshot published by Mr. Ver, there was a discussion in the BCH Slack. After that, Joel Dalais, a BCH strategist, removed him from the group. “I ate him” was the answer he gave to a user who asked why he was not on the list of community members. He later explained that there was a “disturbance” that caused Mr. Dalais to take the unilateral decision to ban him. 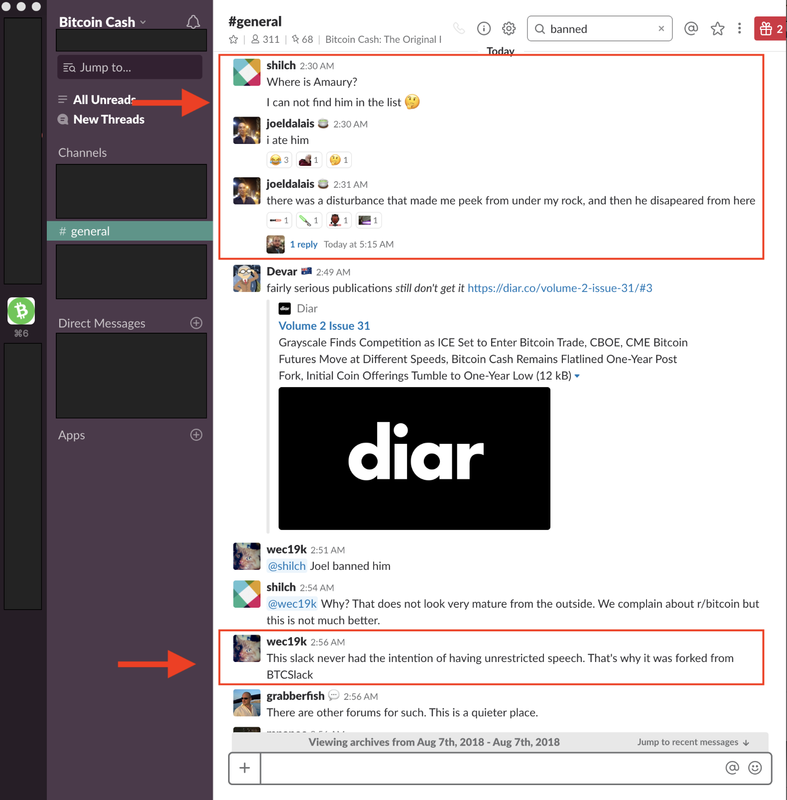 Despite the situation, other users such as Wec19k justified the action mentioned above by saying that censorship was allowed in the Slack channel.